Boys Varsity Baseball · Apr 20 Trojans Win Game Two against Pillager 3-2. 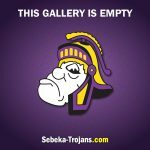 Boys Varsity Baseball · Apr 19 Trojans Come From Behind to Sweep Menahga. Boys Varsity Baseball · Apr 19 Boys Varsity Baseball beats Menahga 10 – 0 in 5 innings.